Bankstown: A sense of identity explores how an area came to be the place it is today: culturally, economically and physically. It's a book to be read, used and enjoyed by students, residents (old and new) and planners; helping all to understand the area and society in which they live, work and play. 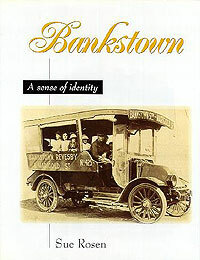 Bankstown: A sense of identity can be used to help plan the future by maintaining links with its past.